Identity theft and business fraud is on the rise. Is your information protected? For 100% reliable service, great rates, and unparalleled privacy protection, please contact us by phone at 314-729-9200 or complete the form on this page. One of our screened, trained shredding technicians comes to your office weekly, bi-weekly, or monthly for shredding and provides you with a Certificate of Destruction. You don't even have to remove staples and paperclips from your files. Our advanced mobile shredding technology destroys these small, non-paper items, too. To take advantage of our recurring scheduled shredding service and 3 months of free shredding, please contact us at 314-729-9200 or complete the form on this page. Hoarding sensitive personal, medical, and financial documents increases your identity theft exposure. Our one-time purge shredding service makes it easy to destroy your old, unwanted paper records. No matter how big or small your purge project, our mobile shredding truck comes to your home, business or self-storage unit for quick, convenient, secure, on-site mobile shredding. For a document destruction solution that lets you focus on your customers and growing your business instead of shredding your own documents, please call us at 314-729-9200 or complete the form on this page. As your privacy protection partner, The Shred Truck is committed to safeguarding your information. We are AAA Certified for mobile paper shredding by the National Association for Information Destruction (NAID) - the authoritative, standards-setting organization for the information destruction industry. 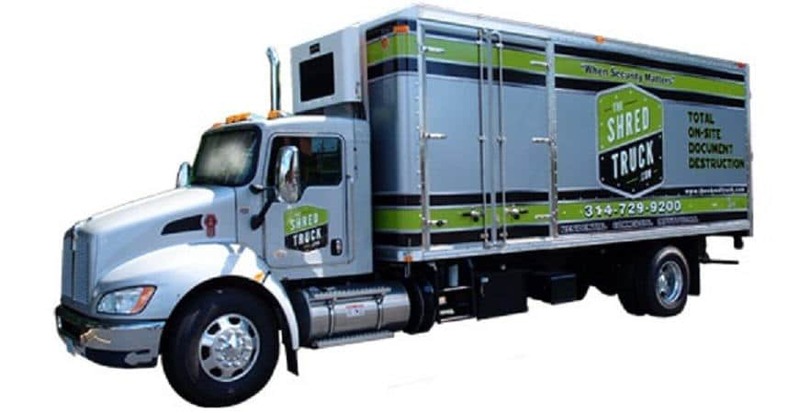 The Shred Truck's background-screened, trained shredding technicians handle your information within a strict chain of custody at all times, and our document destruction processes comply with federal privacy regulations. For more information about our on-site mobile shredding services or to receive a free quote, please contact us by phone at 314-729-9200 or complete the form on this page. Give us a call for a FREE quote where we'll gather all the information, answer any questions, and schedule your shredding service for a time that best fits your schedule - either on a one-time or recurring basis. Click to Call 314-729-9200 for Prompt, Reliable Shredding Service Today. 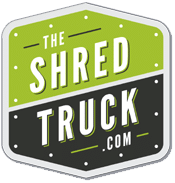 The Shred Truck fleet will arrive on schedule and provide prompt, courteous service. You won't have to lift a finger (other than to point at the boxes). You can witness the shredding for the ultimate in compliance. Once the service has been performed, you will get a Certificate of Destruction from The Shred Truck, a NAID AAA Certified service provider. You can promote how seriously you take data management to your clients and employees.